Safari was always on my bucket list, but it was Sumit who nudged me and then pushed me to plan an African Safari adventure! So, here I give him his due credit. And now my brief itinerary followed by the questions. Day 1: Arrive in Arusha. Full day in Arusha. Day 2: Leave at 7 am for Tarangire. Arrive around noon. Full day game viewing. Overnight in Tarangire. Day 3: Leave early for Serengeti. Game viewing on the way. Overnight camping in Serengeti. Day 4: Full day in Serengeti. Overnight in the camp. Day 5: Half day in Serengeti. Leave late in the afternoon for Ngorongoro. Overnight in Ngorongoro lodge. Day 6: Early morning (starting 6 am) game viewing in Ngorongoro. Leave for Arusha in the afternoon to fly back. Question 1. Where in Africa would you go on a safari and why? Well, after a bit of research I settled down on three options. South Africa - the country is quite developed, has exotic beaches and Kruger National Park is very popular. But it would also mean that it would be more expensive and I would see more tourists everywhere. Zambia, Botswana - A very good option to experience wildlife in the wild! Some of the pictures I had seen were just breathtaking. I was skeptical about the safety and security in the country so I decided to stick with the third option. 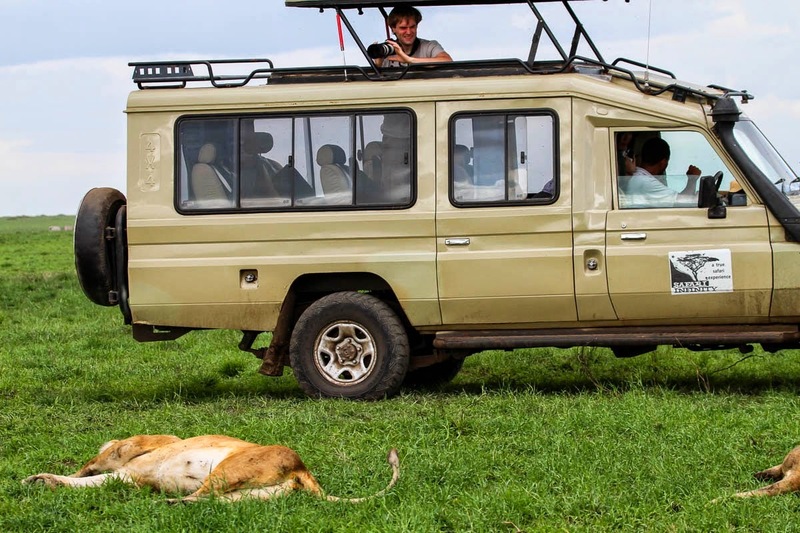 Kenya, Tanzania - Many opportunities to see the big five (Lion, Elephant, Rhinoceros, Leopard and Cape Buffalo), a safer place and a varied landscape. Plus, a few of my friends had been here, so I was banking on their positive reviews as well. We chose to stick to Tanzania only though. Question 2. When to go and where to go? Now Sumit and I were constrained because of our PTOs, shutdown, airline credits, blah, blah and we had no choice, so we went in December. December and January have short rains. So it used to start getting really hot around noon and then there was half an hour of drizzle and the weather became quite pleasant. February to April are heavy rains. June-October is dry and a peak tourist season. The vast Serengeti plains in Tanzania, which are your main focus extend in to Kenya as the Masai Mara park. 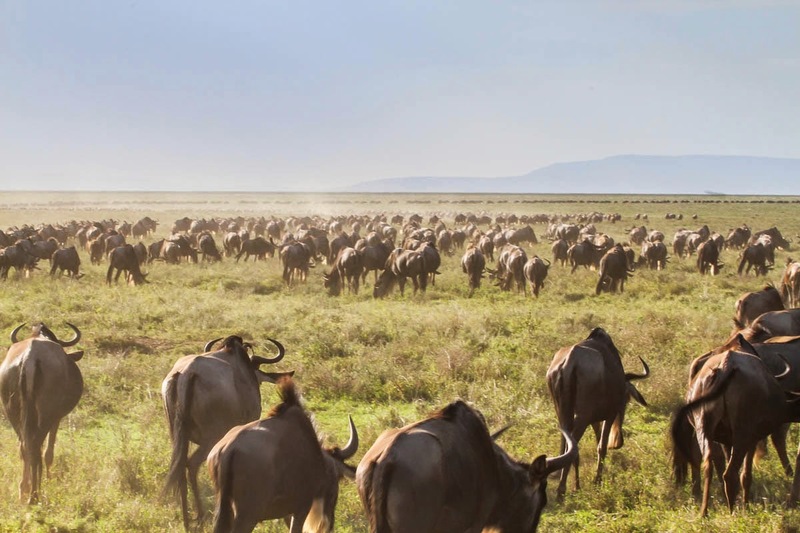 The wildebeest migration takes place in these parks. The animals move in a circular path along with rains and move from one area of park to the other depending on the season. So, when you go, make sure the park you choose to visit gives you a chance to witness this Great Migration. We chose to stick to Tanzania because Kenya had recently witnessed terrorist attacks in Nairobi plus the migration was going on in Serengeti. Serengeti Plains: This is where we spent our maximum time. They are vast plains spread over 5000 sq miles. Every day is a new day in the jungle. One day you might see a Cheetah and the next day you might see a pride of lions hunting and you can never have enough. We saw maximum variety of animals here, especially the big cats. One benefit is that the park is so huge, that we rarely bumped into any other safari vehicle. We saw them only when the guides spot a cheetah or a lion and inform other guides. 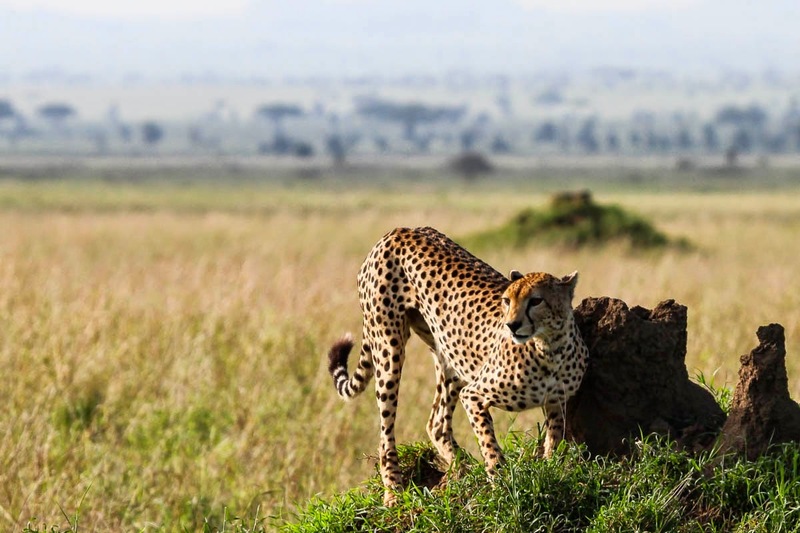 Serengeti National Park is divided into three regions, Central, South and North. Depending on the wildlife movement and the season you choose to go in, you will have to take your pick. We were mostly in central and south Serengeti for good three days. We saw, gazelles, lions, cheetahs, leopards, buffaloes, hippos, giraffes, wildebeest, zebras, elephants, hyenas, warthogs and many more animals here. Ngorongoro Crater: The earliest footprints of human race were found in the Ngorongoro Crater.The animals inside the crater are said to have evolved separately from others as they were self sufficient and could sustain themselves inside the crater and never moved out. Now, however, they move out as the new lions need to establish their own territories. We went early in the morning, around 7 am and had the park to ourselves. From a few places on the rim, you can see the entire crater and it is gorgeous. We drove down to the base of the crater and saw a plethora of animals. 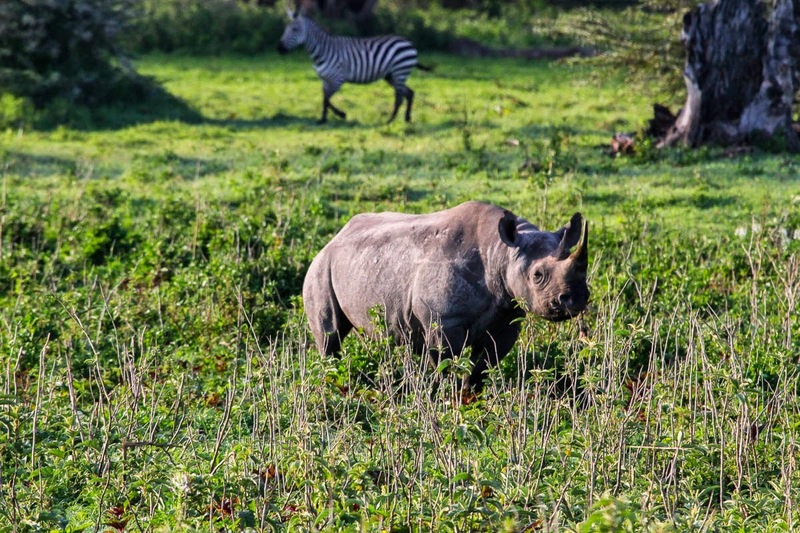 This place is your best bet to spot a rhino and the crater has a very dense population on lions. We saw baboons, zebras, lions, hippos, gazelles, fox, flamingos, etc here. I highly recommend going early. You get to see a beautiful sunrise too. 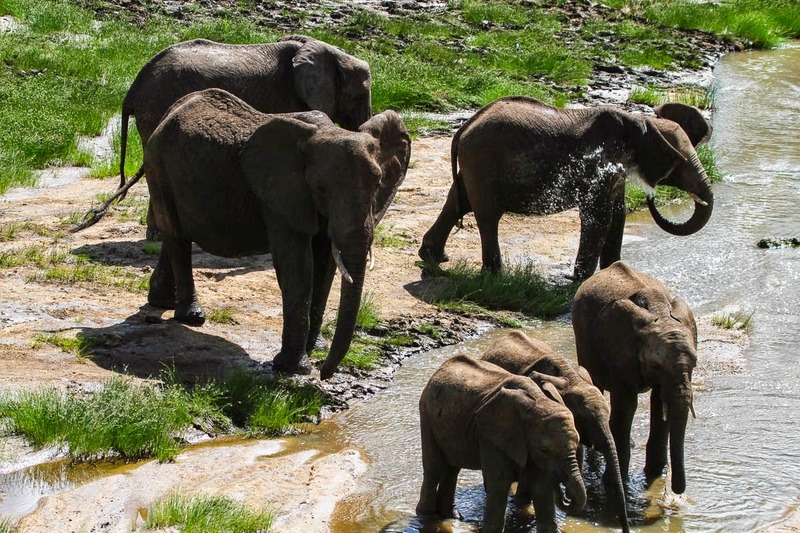 Tarangire National Park: This park is famous for its elephants. We saw a plenty of them in large groups. It has beautiful landscape but I think a day is just about enough here. Question 3. Where to stay? All the parks have excellent lodges. We stayed in a tented camp in Serengeti and I am glad we did. It is an excellent camp with toilets and shower inside, so I am not complaining. The experience of sleeping in the natural white noise is quite pleasant. Plus the hyenas around our camp made the life quite exciting. I am going to list out the places where we stayed at. They were all very good. We had no choice but to go with them as many lodges were already full by the time we made our bookings. 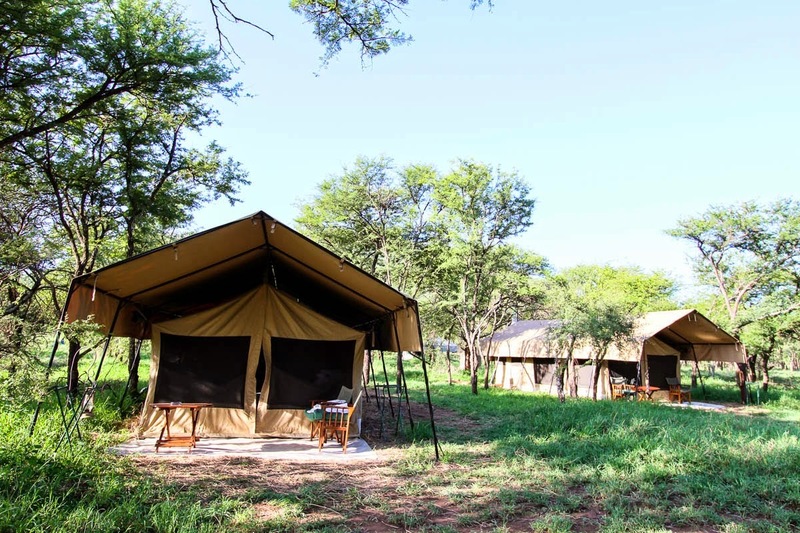 Tarangire Park: Tarangire River camp - Beautiful views, a pool to relax in and a 5-star tent. Ngorongoro Crater: Ngorongoro lodge - View of the crater, a nice resort plus delicious veg food. Serengeti : Kati Kati Camp - Living with the hyenas, in middle of the jungle in good enough camp. Loved it. Question 4. Well now how do I make the bookings? Yes, you should go with a tour company. No matter how big I am on "Do it Yourself" trips, but this one needs a tour company. You need an excellent guide for an excellent experience. Guides are certified here and go through an extensive 1-2 years of training. They can make a huge difference. Plus the tour company takes care of all the permits for the parks and the lodging. We saw so many safari vehicles from different companies that I think most of them offer the same experience. But, from all the information that I got from my friends, I boiled down to two: Roy Safaris and Safari Infinity. We picked Safari Infinity because they were giving us better lodges and Lucia was quick with her responses and very helpful in planning the trip as per our preferences. The experience was great, be it animal viewing, food, lodging or the guide. Lucia gets an extra star because she emailed my mom everyday about my well being as I was out of network for 5 days! 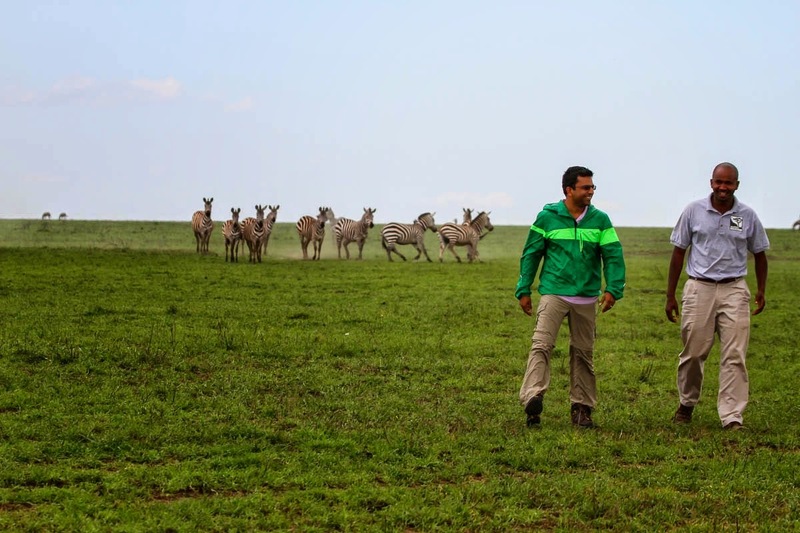 Our guide, Fazal was also great, he had so much knowledge about animals and predicted their behavior accurately and spotted so many of them for us. This is how close we got to the Lion King! Tip: We told our guide before we started what all were top of our priority list: Big Five and more cheetahs. He made sure we saw all that. We didn't mention we were keen on seeing a hunt, and I really regret that. We were stalking a cheetah as it was about to hunt, but had to leave as it was getting dark and we had to report to our camp. 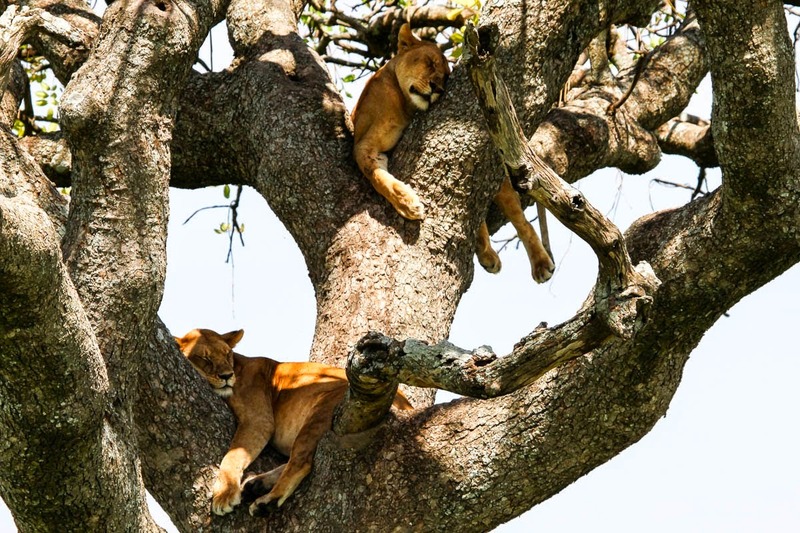 If you plan on visiting Kenya as well, you can fly to Nairobi as there are quite a few connections to Nairobi. You can cross the border by land, in your vehicle, which is what a lot of tourists do. Fly to Kiliminjaro airport (KIA). It is an hour away from Arusha, closest town to the parks. Not many flight options, as the airport isn't that big, but quite a few connections from Kenya. Fly to Arusha airport(ARK). This airport is 5 minutes away from Arusha city. But, it is smaller than Kilimanjaro airport so really not many options. You can also fly from Serengeti park to Arusha. They fly small 6-8 sea planes between Serengeti to Arusha. It is a 3 hour long bumpy ride, so in case you are short on time, this can be a good option. Question 6. What else can I do while on this trip? Visit Zanzibar - If you have time on hand, must explore this option. We didn't. Not an issue. We are veggies and we had plenty of options to keep our tummies full. Arusha has an Indian restaurant, Bay Leaf, which had really good Indian food. But do keep some snacks for the day. You'll be on a safari in middle of nowhere, so you gotta be ready when the hunger strikes. Tanzania has visa on arrival option for tourists, but we got our stamped from DC, just to be safe. I think yellow fever vaccination is required and some other are recommended. We already had quite a few on the list, so we just got what was left. Be careful of the mosquitoes. There are mosquitoes, not many, but yes, they exist and can cause malaria. We always used our mosquito repellents and sun block. Alright, this is all the gyaan I have to share.